Morley Bedford is truly a family operated business, yet is supported by some of the finest men and women in this profession. Our Directors strive to continue the Bedford philosophy of listening and understanding that has won the respect of the people and community since 1919. Bob is currently the longest serving licensed funeral director in Toronto. Working with his uncle, Morley Bedford, the founder of Bedford Funeral Services, Bob learned early the value of innovation and personal service. He has been helping the families of North Toronto for over 60 years, and served a term on The Ontario Board of Funeral Services. Bob has had extensive involvement in many community organizations and is currently a leader in the Interfaith Community, an initiative that brings all community religious leaders together to share and celebrate their faith. 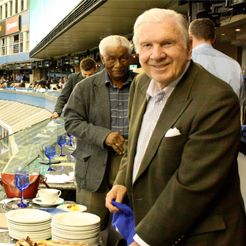 He is an active Rotarian, and has served with the Rotary Club of Toronto Eglinton for over 40 years. During his years at St. Andrew’s College and McGill University, Alan combined academics with a love of sports. He participated in rugby, golf and cricket at S.A.C. and went on to captain both the hockey and football teams. 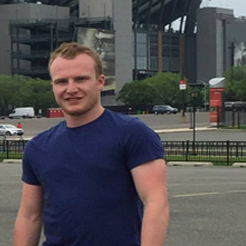 Alan attended McGill University and played for the Redmen varsity hockey team. 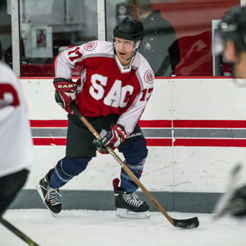 Alan’s abilities carried him on to a professional hockey career in Europe, before returning home to North Toronto to join the family business. 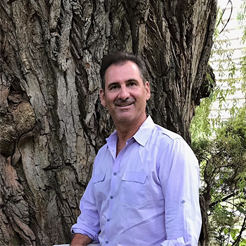 Drawing on his hockey experiences, Alan has coached several local teams and currently serves as the Mentor Coach for the North Toronto Hockey Association. Together with his wife Jennifer, he has instituted a number of athletic initiatives to benefit the youngsters in the community, including: the North Toronto Lacrosse Association and North Toronto 3on3 Hockey Organization. Alan is currently on the board of the North Toronto Arena and serves as a convenor in the Greater Toronto Hockey League. After graduating from Leaside High School, Philip continued studies at the University of Windsor. As a tireless contributor to North Toronto, Philip currently sits on the board of several community service organizations dedicated to improving the lives of Torontonians. He currently volunteers and is an active board member of Meals on Wheels, Yorkminster Park. He is a past board member of the Isabel & Arthur Meighen Centre and past president of the Rotary Club of Toronto-Forest Hill. He enjoys running, skiing, golf, cycling, squash, watching his beloved Blue Jays and sailing his Shark at the RCYC. Phil is married to Andrea and together are proud parents of two daughters Sidney and Bretton. With over two decades of experience Troy has been helping families navigate the complexities of funerals and saying goodbye to a loved one. His compassionate care, attention to detail and extensive knowledge has been the foundation of his career. An Ottawa native, Troy moved to Toronto and joined Morley Bedford in 2006. Throughout the summer you will often find Troy escaping to his family cottage in Quebec and in the cooler months, jet setting to tropical destinations and European cities. Troy is not only a licenced private pilot but also an avid musician. He plays trumpet in a local community orchestra. 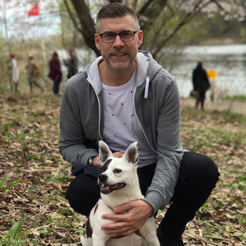 Troy currently resides in downtown Toronto with his partner and their adorable dog, a rescue, named Harley. Cynthia formerly worked in the Toronto film and television industry for ten years. She transitioned into the funeral services profession because of her desire to help others in need. She joined Morley Bedford in 2004 and continues to enjoy a fulfilling career. Cynthia is an avid traveler, having visited such countries as Australia, Cambodia, Iceland, Poland, Vietnam and most recently Ukraine. 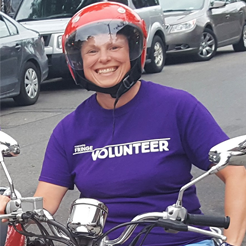 In her free time, Cynthia volunteers for various organizations including the Ted Rogers Hot Docs Cinema, Fringe Festival and Inside Out Film Festival. She enjoys documentary films, popular music history, playing dodgeball, riding her scooter and a good game of Scrabble. Cynthia’s exceptional sincerity, compassion, and down-to-earth demeanour earn her the respect and admiration of her colleagues and the families that she serves. Growing up in North Toronto, Jon attended North Toronto Collegiate Institute playing on the hockey, football and baseball teams. Following high school Jon went on to Guelph University to major in Environmental Studies, before joining the family business. Having the itch to get back into sports, Jon got involved with coaching youth hockey, for the North Toronto Hockey Association. Jon still plays hockey and baseball and can be seen at some of the Toronto sporting events, especially for his beloved Maple Leafs and Blue Jays. One of Jon’s favourite pastimes is taking out the boat at Ontario Place to catch the best view of the city.